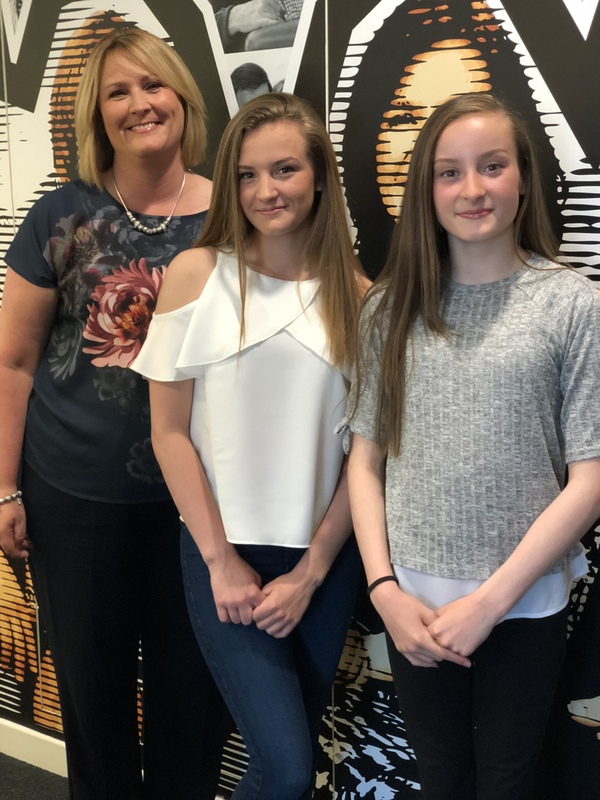 A mum has praised local victim support and mental health services for the support they have given her family as the first anniversary of the Manchester Arena terror attack approaches. Annette McNeil, who works for Lancashire County Council, appeared on the documentary Manchester Bomb: Our Story this week. She was at the MEN Arena with her two daughters Caitlin and Erin to enjoy a concert by Ariana Grande when a suicide bomber struck, killing 22 people, as people started to leave the venue. Following on from the traumatic events of the night, Annette and her family received support from Lancashire’s Victim Support services. Erin also accessed more specialised support from the local NHS Children and Adolescent Mental Health Service (CAMHS). Now Annette is urging anyone who may have been affected by any type of traumatic event to seek out help as quickly as possible, as well as praising all those who have helped her family. Anette said: “What happened was horrific. My daughter Erin was 11 at the time and my daughter Caitlin was 14. “Thankfully, none of us were physically injured, but the bombing did have a massive effect on us, particularly Erin at such a young age. “We spoke to the Manchester Resilience Hub a few months after the attack and they were fantastic. “After completing questionnaires, we were able to determine the type of support we needed to help us with the traumatic events we’d been through. Our answers showed that Caitlin and I needed some support, but Erin would need more specialised therapy. “I got in touch with Victim Support, which offered counselling through its NEST scheme for Erin whilst we waited to access more specialised therapy from CAMHS. Annette, from Garstang, contacted Erin’s school and asked for her to be referred to CAMHS when it became clear she would need extra support. “Once we started with the CAMHS service they were fantastic. Because we exited the arena close to where the bomb had just gone off, Erin saw a lot of terrible things. She can’t talk to me or her friends about them, but she is going through the events at cognitive behavioural therapy sessions with her support worker. Erin began to open up about the extent of her symptoms in the Autumn of last year whilst watching an episode of Holby City, that included a PTSD storyline. “Erin opened up to me that she was experiencing the same symptoms as the characters in the drama. That’s when I realised how difficult she was finding things. We told CAMHS what Erin was experiencing. That’s why they recommended the specialised Cognitive Behaviour Therapy. “After the horrific events we’ve been through in the last year, my advice to anyone who’s been affected by this or any other traumatic event would be to get the support you need as quickly as possible. “Speak to victim support if it’s in relation to a crime or go to your GP if you need to speak to mental health services. “It’s okay not to feel okay. If you experience an event like the MEN bombing, it’s not just physical injuries that people need to recover from. “Talking helps and there is support out there to give you help to overcome what you’ve been through. Visit nestlancashire.org for more information about the NEST young victim support service for Lancashire.